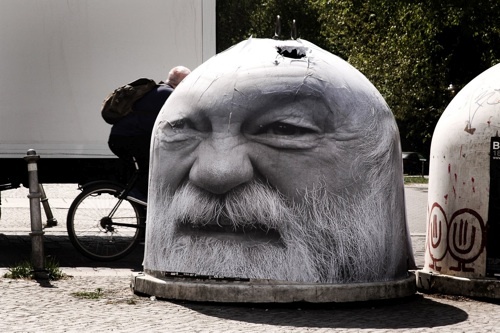 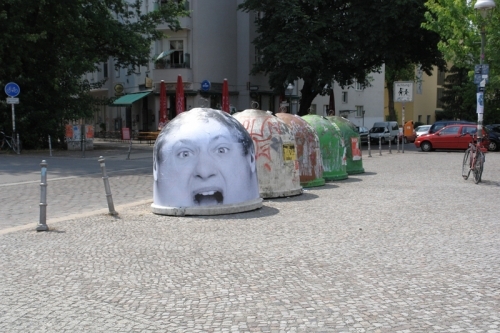 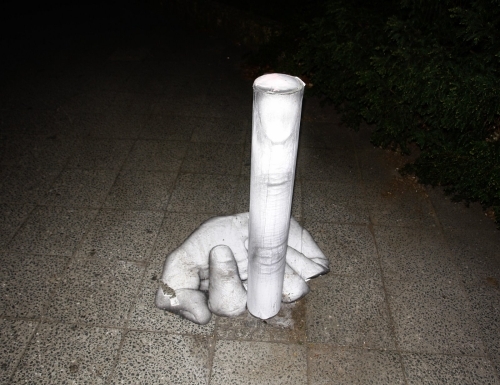 Mentalgassi is a German street art collective that covers urban objects with photographic wheatpastes. 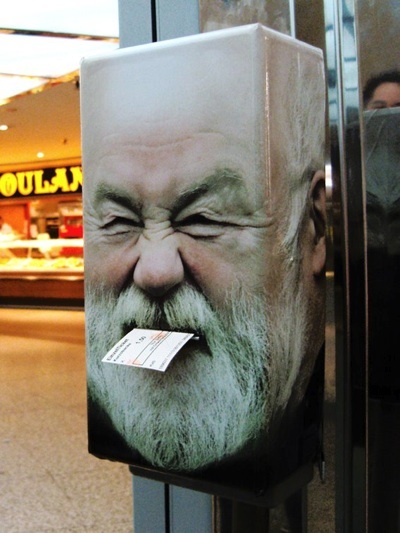 Above are photos of public recycling bins (the giant dome shaped things) and ticket validating machines covered with the group’s work. 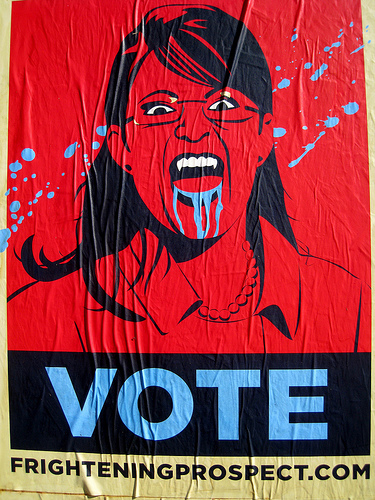 A group of street artists have been putting up this new Sarah Palin wheatpaste in cities around the U.S. Their site has instructions on how to download the artwork and put up your own, if you’re so inclined.